When I read the blurb to this book I just knew I had to get my hands on a copy of it. The idea of a “Black Swan” was a really intriguing one, and I was curious to see what Dicer had planned. I also really liked the fact that THE BLACK SWAN INHERITANCE was set in Australia, as most urban fantasies and new adult novels tend to be set somewhere in the US. The book seemed like it had a lot of potential and I couldn’t wait to dive in. 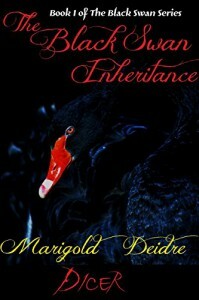 THE BLACK SWAN INHERITANCE is narrated in first person by the main character, Anita. Unfortunately I found Anita to be quite a difficult character to relate to. She seemed to jump about quite a lot in terms of her opinions, and often didn’t seem to think about the possible consequences of her actions – she tended to jump straight into a situation. Anita also seemed to be very hard on herself, especially about the way she acted during high school. I also found the narrative itself to be quite confusing as although Anita was supposed to have no idea what was going on with the supernatural and what was happening to her, quite often she seemed to know just how to handle a situation seemingly without any guidance. Although Anita is the main narrator of the story, Dicer also provides the occasional section where the narrator switches to the third person which allows the reader to have a broader idea of the overall situation in the novel. Despite this, having finished the book I’m not really sure what happened in the story plot-wise apart from the introduction of Anita and the “big bad”. Dicer created an intriguing “big bad” and although I’m not sure of its motivations, it was brilliantly written and very manipulative. I think it might be my favourite character in the book. In THE BLACK SWAN INHERITANCE Dicer brings a new story to the urban fantasy table. The concept of the “Black Swan” is an interesting and complex one. Dicer also brings vampires and werewolves back with a more traditional feel, and the Australian settings adds another element of newness to the story. Although this story wasn’t really for me, if you are looking for something new within either the urban fantasy or new adult genres then you may enjoy this. 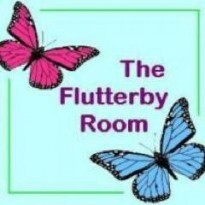 I got a copy of this book off Smashwords/the author in exchange for an honest review.